Nestled in the redwoods of wine country in Northern California, we design and build decks to compliment our stunning vistas of Mountain and Sea. 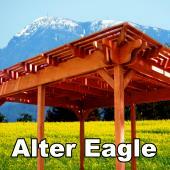 Make an Alter Eagle deck your personal sanctuary. Bodega, Bodega Bay, Cloverdale, Cotati, Duncan Mills, Forestville, Graton, Guerneville, Healdsburg, Kenwood, Monte Rio, Oakmont, Occidental, Petaluma, Rohnert Park, Santa Rosa, Sebastopol, Sonoma, Windsor, Novato. 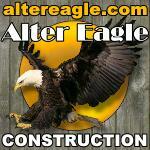 VARIOUS DECK PICTURES AND EXTERIOR PROJECTS Pergola, porch enclosures, planters, gates, gazebo, arch and arbors. As well as the diverse projects we build along with our decks from storage sheds to out buildings. Description of our deck projects photos to quickly find the deck type that interests you. PICTURES OF ENTIRE DECK PROJECTS. 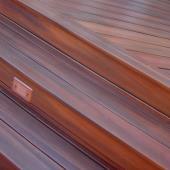 Decks we have designed and built that offer the many different styles and materials we use. 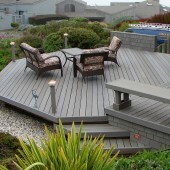 No maintenance composite decking that show no fasteners to the natural beauty of redwood or hardwoods for furniture grade decks like walnut (ipe) and mahogany. HOW WE DESIGN, DRAFT AND BUILD DECKS for our earthquake zone. 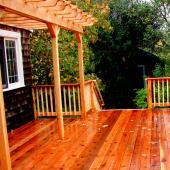 We take pride in the fact that our decks will be the last deck you will need for your home. Higher density composites with pressure treated framing that is capable of ground contact, a longer lasting and deeper impregnated treatment. 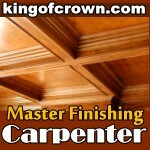 As a 30 YEAR MASTER CARPENTER you should know you are getting the best deck that can be built. About my experience and training to become a craftsman you can rely on, our awards, industry recognition and the deck designs that have been covered in national magazines. We use only the BEST COMPOSITES AND NATURAL DECKING AVAILABLE. 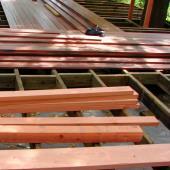 There are different grades of redwood, types of hardwoods and composites. I briefly explain what we use and why. From years of experience we know what decking works in our climate zone for each location and application. I'll give you an ON SITE ROUGH ESTIMATE so you'll know we won't waste your precious time. If that quote is within your budget we'll draft up a design plan and provide you with a detailed quote. Before we start construction you will know the exact cost of your project and how it will look. 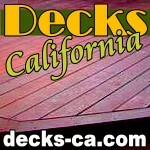 California decks built up and solid beam size tables and post size table.